The squadron was originally called 'Crusaders' and their first insignia was approved by Chief of Naval Operations on December 16, 1955. The original insignia was a black cougar on a light blue background. On 21 November 1963, the squadron was renamed the Sunliners and a new insignia was approved consisting of a black background with the international orange "mach wave" design. 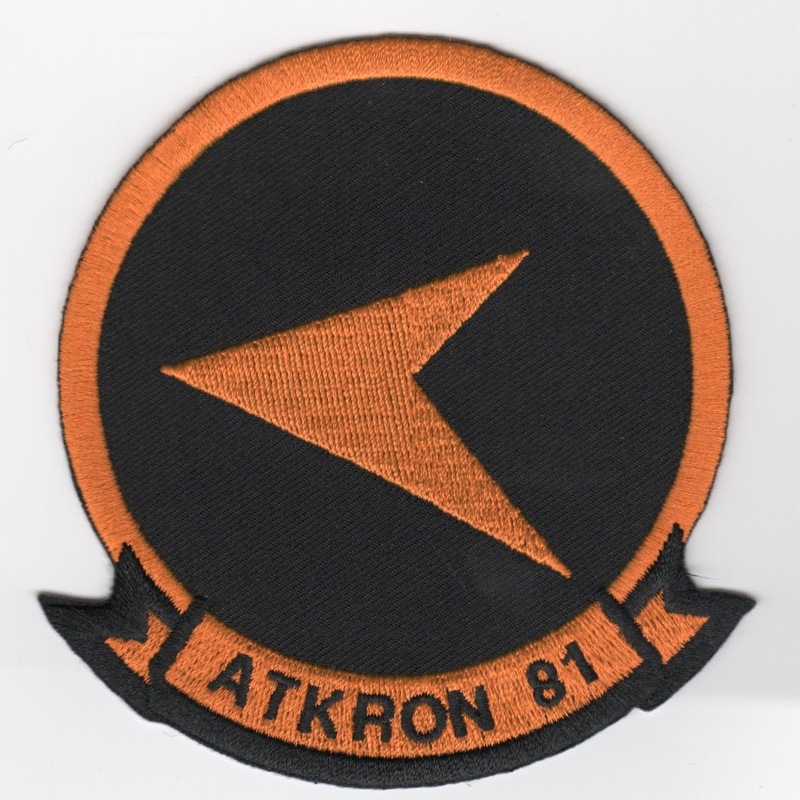 They also adopted the motto "Anytime, Anyplace" at this time.....This patch does NOT come with velcro already attached. Homepage | Order VA-82 Patches!